Businesses shouldn’t sleep on an opportunity to elevate and upgrade the time tracking system.Accurately tracking the time every day allows organizations to ensure better use of their valuable resources. Simply recognizing the areas requiring efficacy, lost time is reclaimed and feeds into profits for the business. capturing time-attendance and automating them. Matrix COSEC provides high flexibility for creating an organizational structure for supplementing the exact time-attendance hierarchy. now. However, you need to have a trusted and reliable partner for all the timekeeping needs. There are many benefits of using Matrix Biometric Attendance UAE. Some of them are given below. Centralized and multiple locations based time-attendance management. Effectively manage multiple and overnight shift requirements. Prompt notifications on omissions and exceptions. Attendance processing and marking user-wise. Live to track of attendance for instant correction. Timely and accurate salary data for the payroll. What is a Matrix Time Attendance Machine? Matrix proves enterprise-grade, web-based Time-Attendance solution with the leave management and centralized attendance features. Matrix offers biometric fingerprint based devices which can be installed at various locations for marking the user’s attendance. For fast and error-free salary processing, Buddy punching, fraudulent timekeeping and human errors are some hidden expenses that directly affect productivity of the organizations. You can find matrix time attendance Dubai now. However, you need to have a trusted and reliable partner for all the timekeeping needs. Matrix Attendance Machine Dubai automates attendance marking system that records attendance data of the users and produces several reports for further actions. It not just saves the cost of administration but also enables HR to manage centrally the attendance policies from several locations. HR can effortlessly utilize this tool for employee appraisals, calculation of monthly salary, overtime calculation and leave balances, etc. Its network-based operation is perfect for hospitals, schools, government institutes, hotels, banks, large/small enterprises, remote sites and many more. Accuracy in payroll system is a vexing and daunting task for any HR. Matrix Time Attendance Machine Dubai provides integration with the Third-Party applications as well, that eventually saves a lot of money and time for an organization. It could easily integrate with ERP, HRMS, Payroll, Tally, Active Directory and various other applications. Matrix attendance machine Dubai also provides Informative reports which are essential for salary calculation, monitoring of employee movement and various interpretation and decision making. Matrix Time-Attendance enables more than 150 types of reports related to time-attendance and leaves using in various formats with several filters. Admin/ HR can easily create customized reports for a department or an entire organization for a specific period. These reports could be exported easily to several file formats which include formats like PDF, Word, Excel, CSC, RTF, and TXT. 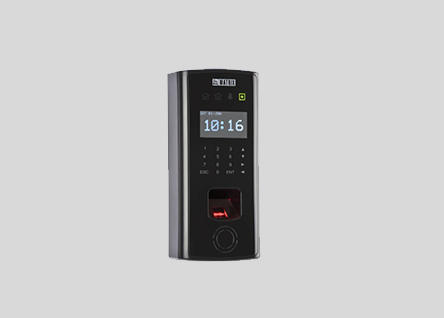 If you’re looking for matrix biometric attendance machine in UAE, then don’t look any further. We’re here to help you out. As a respected name in this industry, we are providing an accuracy-designed range of Matrix Time Attendance Systems. These systems record the exact time of the user using the card or fingerprint keeping in mind several time attendance policies relevant to the user. For ensuring quality, the entire range is thoroughly tested through a succession of parameters. In tune with customers’ different requirements, we provide an entire range of time attendance system in a wide array of specifications. Web based software and can access the report from any part of the world via PC, Laptop, Mobile and the requirement is only the internet connection. reports for Daily in punches, Daily out punches, overtime report, late arrival reports, Early departure report, Total hour worked, absentees report etc. Separate module for leave management. Consolidated report in one location even without VPN Connection. Report can be send through email. Notification through email, SMS etc. Easy integration with any third party software like payroll, HRMS, SAP etc. 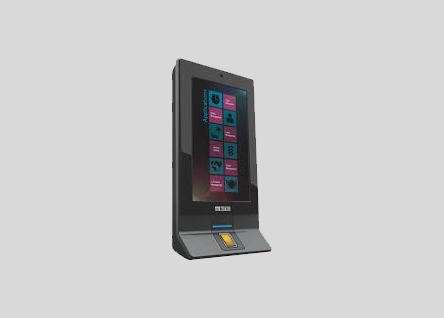 Matrix COSEC time-attendance terminal with its versatility, intelligence and integration meets the present and future time-attendance needs of businesses. 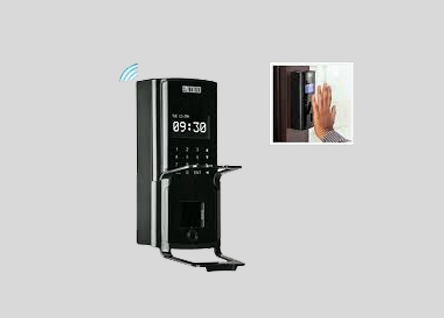 San Security LLC are one of the leading suppliers of matrix biometric attendance machine in UAE. 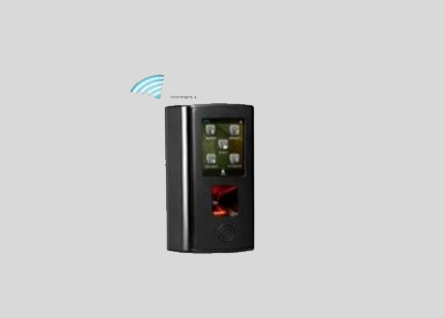 We supply high quality security products ranging from Ip Intercom System to CCTV cameras.